If you have ever marvelled at how little you actually need to live happily and healthily while camping, travelling or luxuriating at a hotel with just a suitcase or two, you are one of many who have brushed up against the mindset of minimalism. 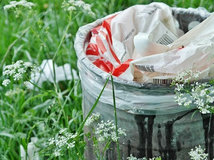 With landfill at record highs and consumerism leading the cause throughout most of the western world, it pays to pause and ponder what minimalism really means. Some people say true minimalists have 100 possessions or fewer. 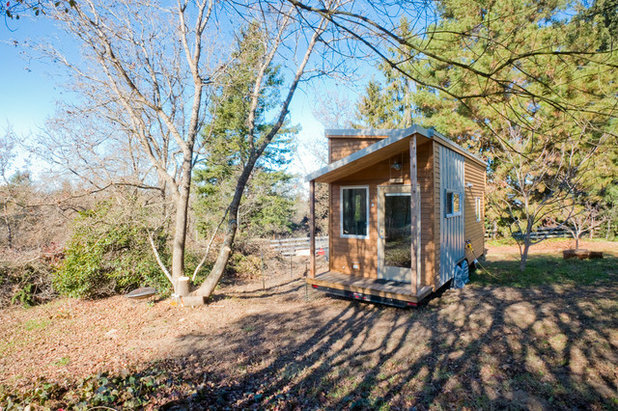 Others believe you must inhabit a tiny house such as the one pictured here, grow your own vegetables and live car-free. 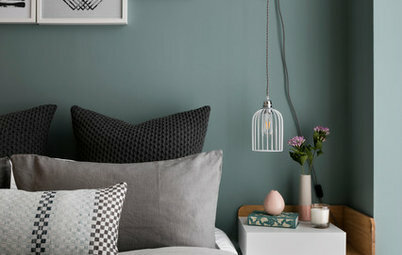 Many people proudly claim to be minimalists if they embrace stereotypical Scandinavian interiors, with uncluttered surfaces and a clean white-and-grey colour palette. And others shudder whenever the term ‘minimalist’ is uttered, squeeze another painting into the last remaining space on their wall, then rush to the shops for some retail therapy to erase all memory of that vulgar word. But ask Joshua Fields Millburn and Ryan Nicodemus – aka The Minimalists, Americans who shot to international fame in 2010 through their books, essays, podcasts and documentary – to define this breed of beings and you’ll get an entirely different answer. 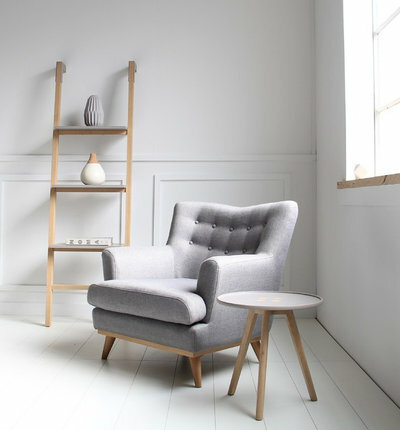 The minimalist movement aims to view possessions as simply that: tangible things that, although important – and many of which are indispensable, such as medicine, clothing and shelter – are still inanimate objects at the end of the day. The most meaningful things in our lives are rarely our possessions. Millburn and Nicodemus concede that removing the clutter of consumerism is an important part of the process, but say that minimalism is about achieving a mindset and lifestyle where we make decisions around materialism more consciously and deliberately. 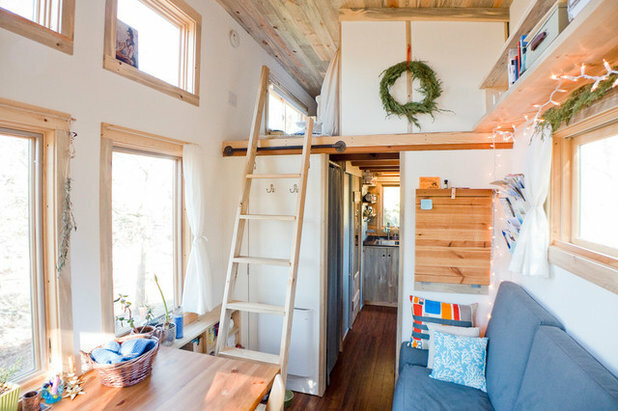 Here we look at three homes that have done just that: a tiny house on wheels, a modular apartment and a regular but resourceful home that occupies a modest footprint. 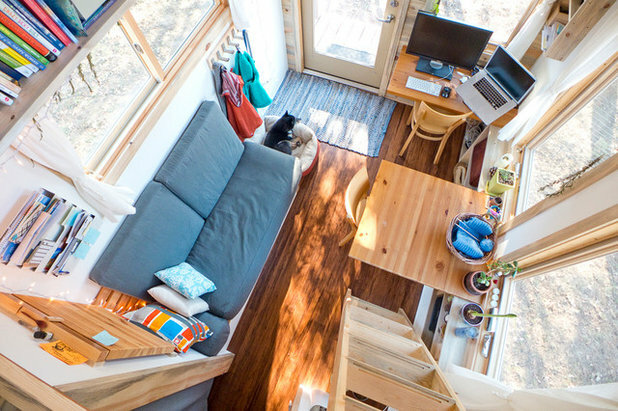 In 2012 Alek Lisefski, a then-29-year-old freelance web designer, built his own tiny house in Iowa, USA. 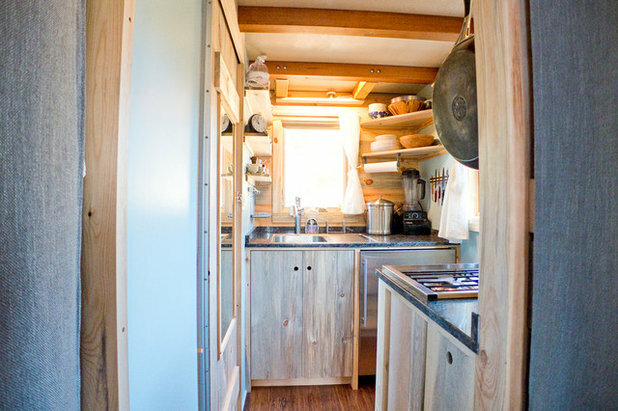 A flatbed trailer measuring only 2.5 by 6 metres became the foundation for his new home on wheels, which encompasses just under 22 square metres of internal floor space, including the sleeping loft. Lisefski has since towed his impressive creation across the country to California. 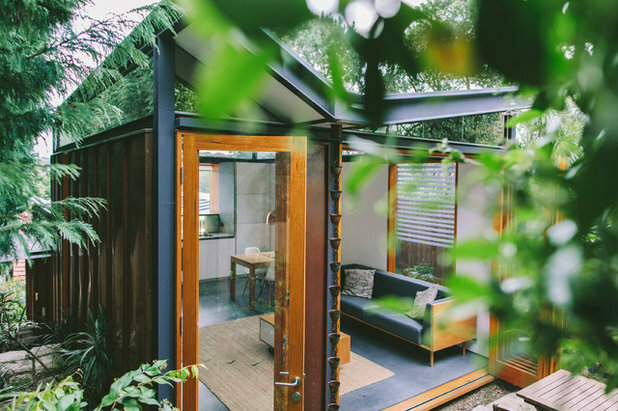 When Houzz visited him in 2014, he was happily living there on rented land with his girlfriend Anjali Krystofiak, a yoga teacher, and their dog. 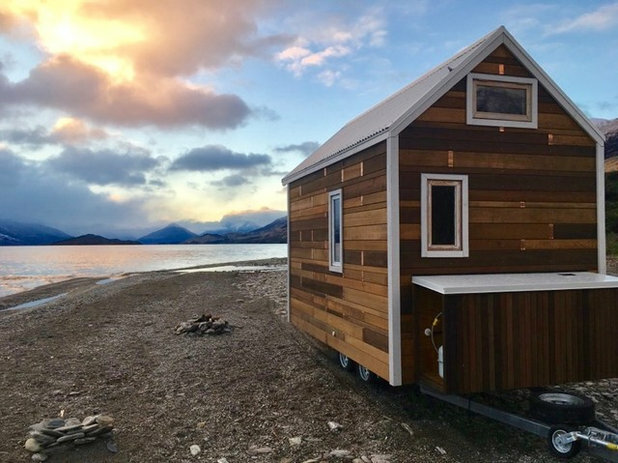 “I could build and own my own home now, with no commitment to location, and stop paying rent and begin to save for a more permanent home in the future,” says Lisefski, who estimates the cost of building his tiny house at US$32,000 – significantly less expensive than the cost of building a larger home. 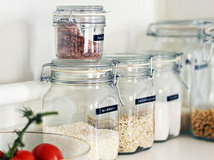 Although the couple has ample room to house their everyday items they still require off-site storage for out-of-season clothes and less frequently used items, such as camping equipment. Lisefski does not envisage living in his tiny house forever, but for him it is the right decision for right now. 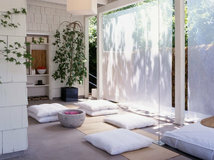 In a true minimalist’s mindset, he sees living in his tiny house not as a sacrifice but as the experience of a lifetime. The city of Manhattan in New York, USA, is famous for many things, including its density of population: 1.6 million residents live within the island’s 87 square kilometres. 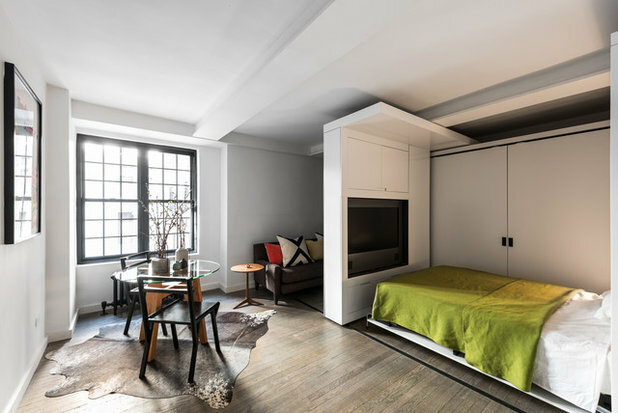 In response to many dwellings’ restricted space, Michael K Chen Architecture delved into researching the principles of micro housing and has successfully applied them to many Manhattan apartments. The floor space of this sleek abode – christened the 5:1 apartment – measures just 36 square metres. 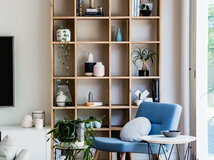 Here, a single space can be transformed into multiple zones by a motorised sliding storage element that glides across the room and can be manually moved as well. When fully retracted, this flexible space caters for living, working, entertaining or an evening flopped in front of the television, which pivots 360 degrees so it can be watched from the adjacent dining area or the ‘bedroom’. 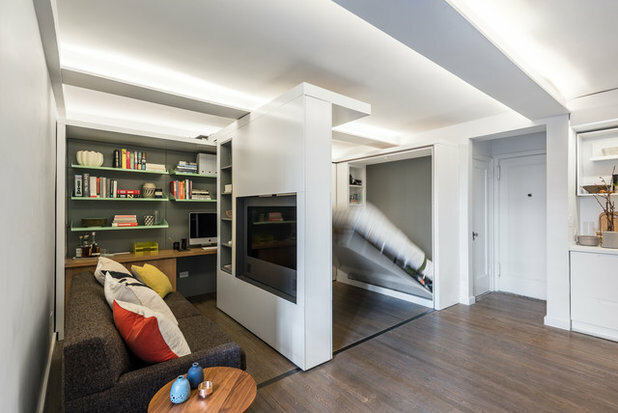 Slide the moveable unit further out from the wall and you’ll reveal a wardrobe and dressing area; fully extend it and you’ll discover a pull-down queen-sized bed in the opposite wall. 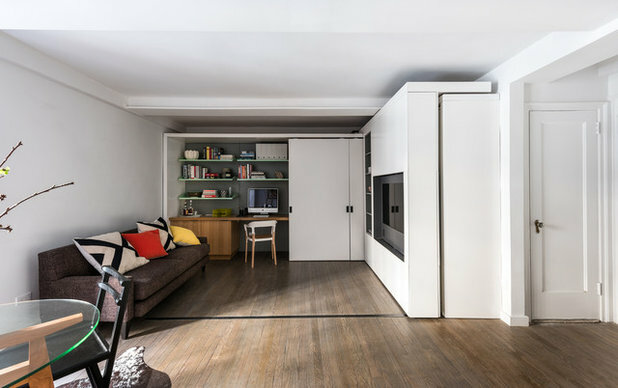 As well as the gliding storage unit, the white sliding doors on the far side of the room can be moved to reveal and conceal bookshelves and a work zone. 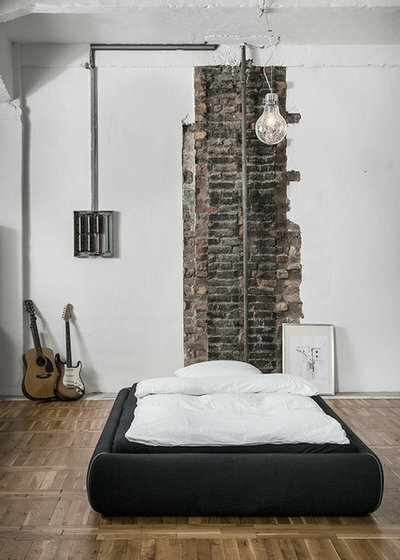 In the 5:1 apartment, even the smallest details have been considered, which is critical for minimalist living. The built-in bedside table is fitted with power for a bedside lamp and phone charger, custom speakers work with the television to create the full audio-visual experience and new LED lighting in a cove above the cabinetry is akin to a lighting scheme you would expect to find in a fully fledged contemporary house. 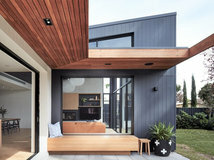 Rather than using static architectural elements in response to this compact space, the creative minds at Michael K Chen Architecture took a modular approach to minimalism. Like Lisefski’s tiny house, this type of living isn’t for everyone. But love it or loathe it, we can all respect it as an inventive response to spatial constraints and a thoughtful salute to the minimalist movement. 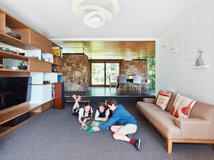 Closer to home, in the beachside suburb of Coogee in Sydney, sits the so-called Copper House, named for the material of its distinctive cladding. 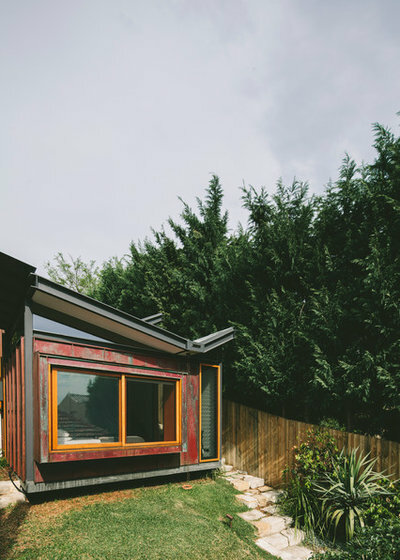 Its owner, Jeremy Godwin, recently enlisted architect Brent Dunn of Takt l Studio for Architecture and co-designer Katharina Hendel to replace his dilapidated fibro shack. The narrow dimensions of the battle axe-shaped site necessitated a small home: the lot measures 56 metres long but only 6 metres wide and was limited by an existing semi at the front. The result? 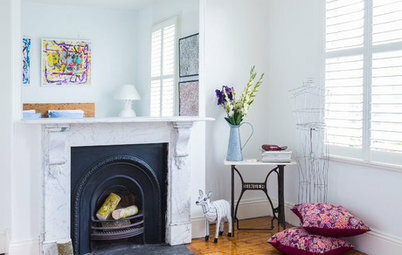 A modest and memorable house that occupies just 60 square metres. 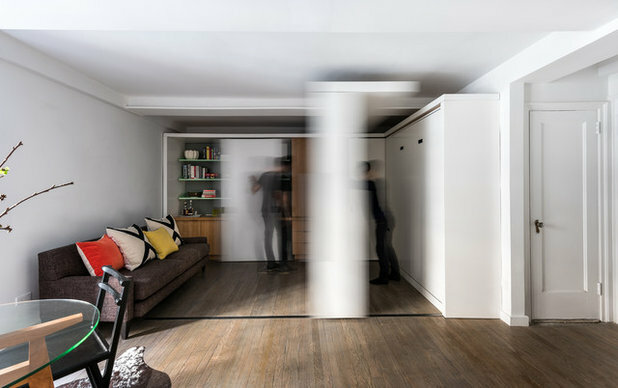 During the design process Godwin, Dunn and Hendel shared many a philosophical discussion about “how spaces shape people as much as the other way around”, Dunn says – a concept in tune with minimalist living. The Copper House is zoned into public and private spaces comprising three modules on different levels, linked by small sets of stairs. A combined kitchen, living and dining area occupies the highest level; a guest bedroom, bathroom and laundry fill the middle level; and the master bedroom resides on the lowest level. 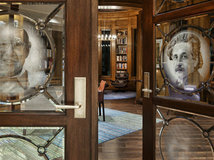 “We are particularly pleased that a small project contains such diverse spaces and that we were able to pursue custom solutions to add layers of experience to the place,” Dunn told Houzz in a 2015 tour. Among these custom solutions are deep-set windows that frame vistas of greenery and do double duty as both shelves and tranquil places to perch. 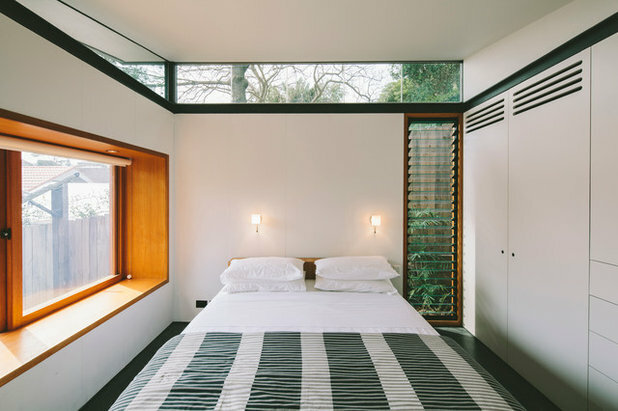 Dunn and Hendel also utilised the dead space under the house and between the level changes to fit the laundry and a storage area, ensuring as much room as possible on the small site was used, not squandered. Dunn also points out that “the project is first and foremost designed according to passive-solar design principles, admitting sun during winter, while the shading cuts it out in summer. 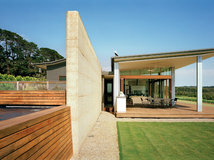 The slab provides thermal mass that, together with the insulation, keeps the house comfortable year-round”. 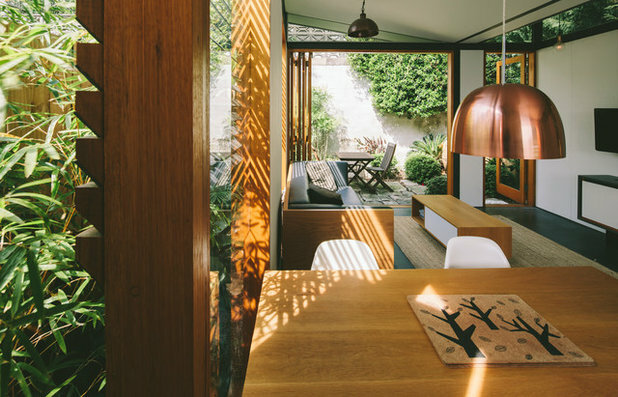 For a small home, the Copper House does a lot more than many larger dwellings do – all without feeling cramped. 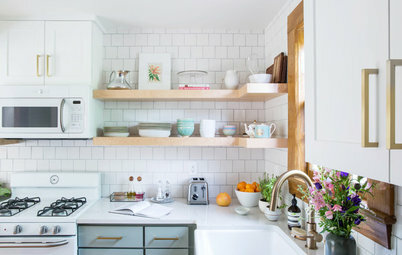 Although minimalism was not the goal, this home achieved it serendipitously; it is small, but it still has ample room for more than just the essentials. I applaud purists who eschew excess, renounce materialism and leave a minimal footprint on our precious planet. But could I live like that? Or would I want to? As I ponder these questions I sit at my desk (essential), typing on my laptop (essential) and sipping a fortifying coffee from the nearby espresso machine (highly essential). My newly honed minimalist’s eye suddenly spies superfluous objects everywhere. A long-outdated travel guide stands hopeful on a bookshelf (non-essential), a photo album I’ve been meaning to fill for six years lies forgotten nearby (non-essential) and a potted plant that gave up the ghost occupies valuable space (now non-essential, may its green soul rest in peace). These objects could vanish and if by chance I noticed, their departure would register zero impact. If you fall into the unapologetic maximalist camp, then salutations. But if the calmness and catharsis of minimalism appeal to you and you aspire to adapt this ethos to your lifestyle, there’s no time like the present to start anew. 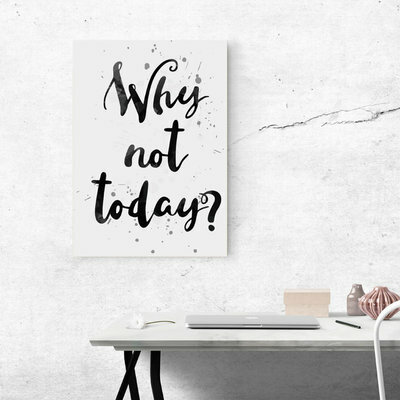 So to quote this canvas wall art, why not today? It’s never too late to focus on what’s meaningful, keep what’s essential, then jettison the rest. Could you live like a minimalist? Tell us how you’ve interpreted this movement and what you’ve done (or would never do) to embrace it. And while you’re at it remember to like, bookmark and share this story. I've lived in my small rented unit for 26 years now, surrounded by my many books and interesting things that I've gathered over my lifetime. I'm almost 79 and live alone, so my home is designed to make ME happy...! 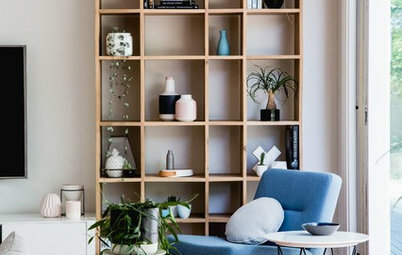 To me personally, I don't think my kind of minimalist is about being void of posessions or belongings but more about having things you love and hence they then have a purpose but they also have a place. I would consider my home just a tad past minimalist now but not much and I have surrounded myself in an orderly way, with the things that mean something to me. Bathroom Expert Advice How on Earth Do I Clean a Glass Shower Door?